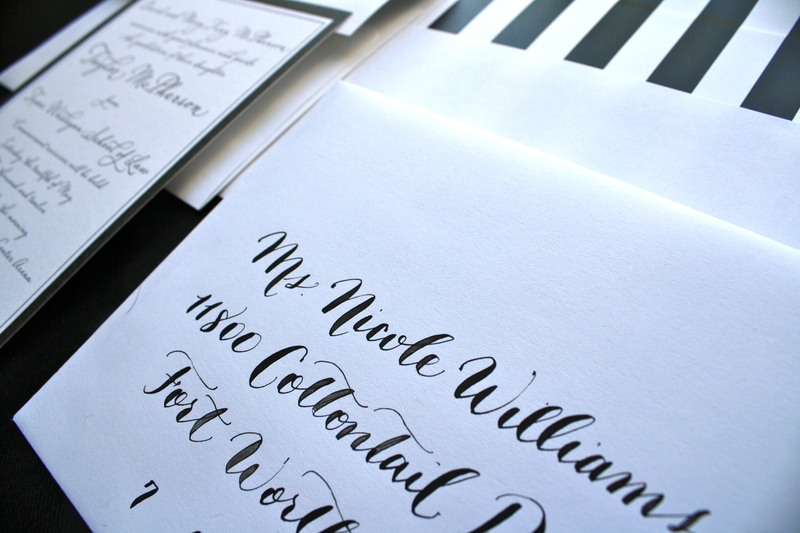 A graduation announcement with classic black and white stripes. 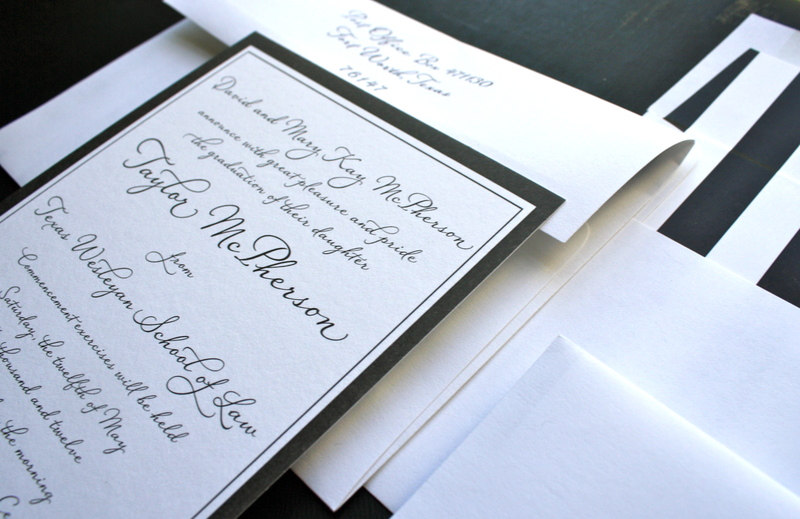 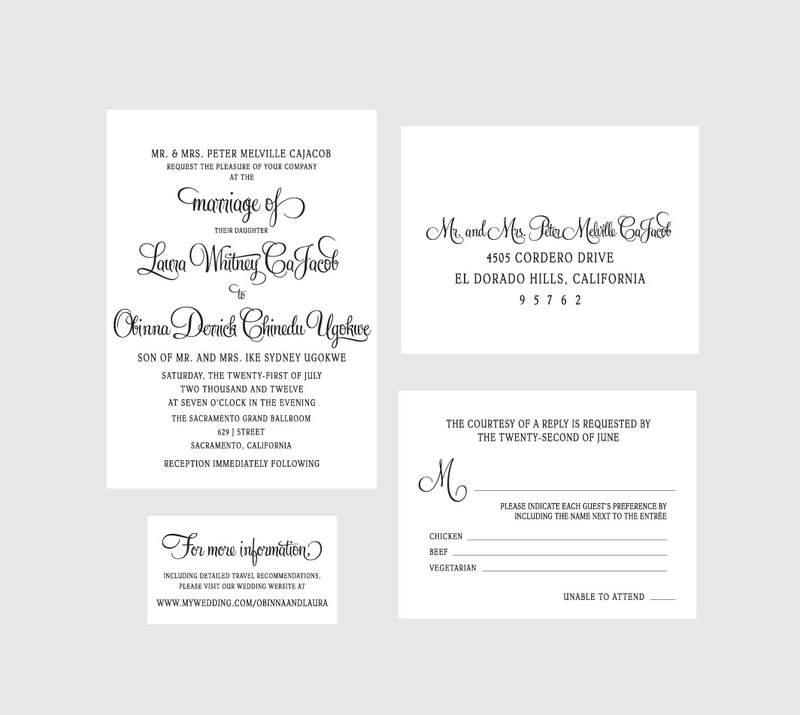 A black and white wedding suite that the client printed herself (I’m always available for design services if you’d like to take care of printing)! 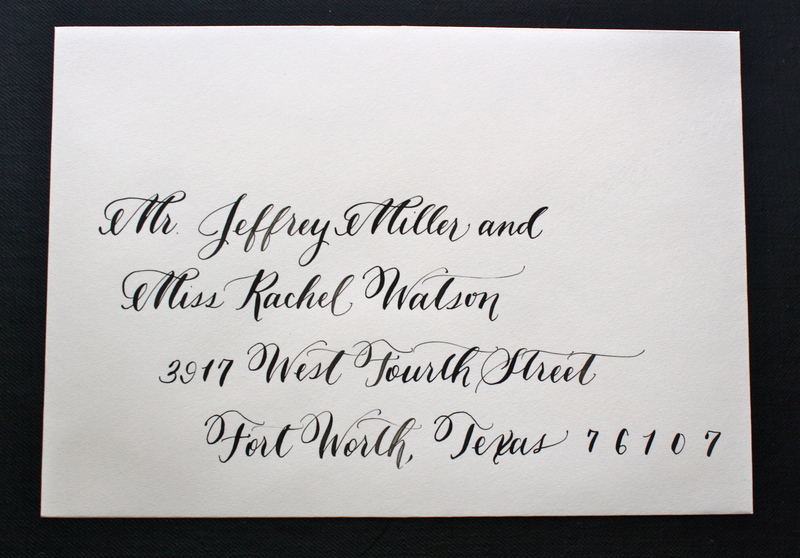 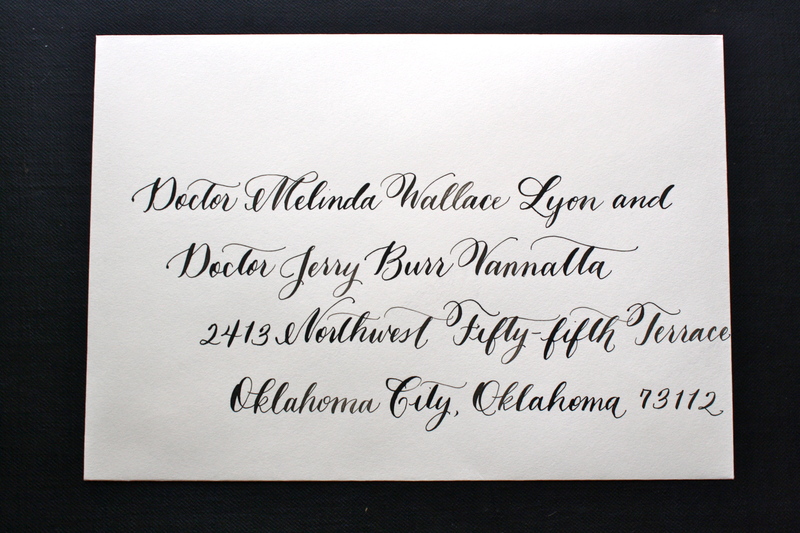 And a little classic script calligraphy job.